Secluded foothill hideaway with incredible mountain views. This home is nestled at the base of the mountains on a private knoll. The location is close to Dunlap Rd., and only about 45 minutes to the Central Valley, as well as Sequoia/Kings Canyon. The home has a generous floor plan with vaulted ceilings, an attached two car garage, large walk in closet, and a fourth room that does not have a closet. There is a seasonal creek along the edge of the property. 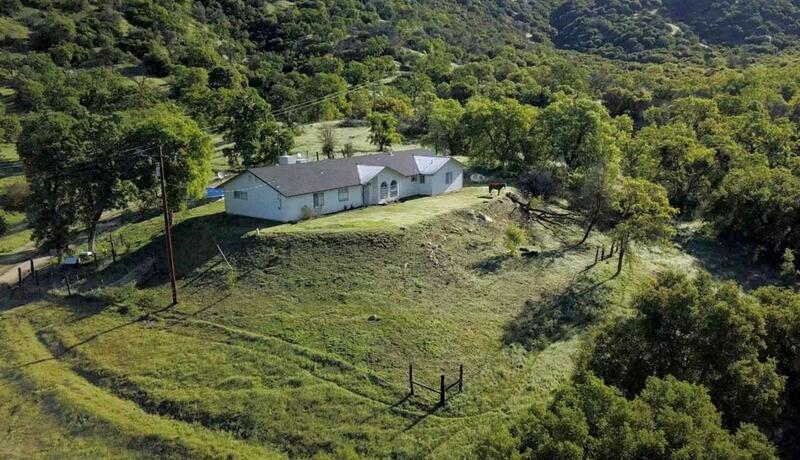 Enjoy open space, mature oak trees, and a fair amount of usable land. The driveway is on a shared easement road.